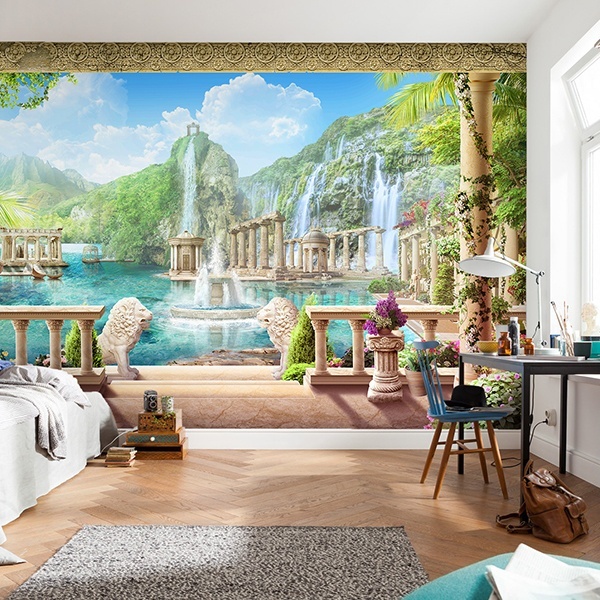 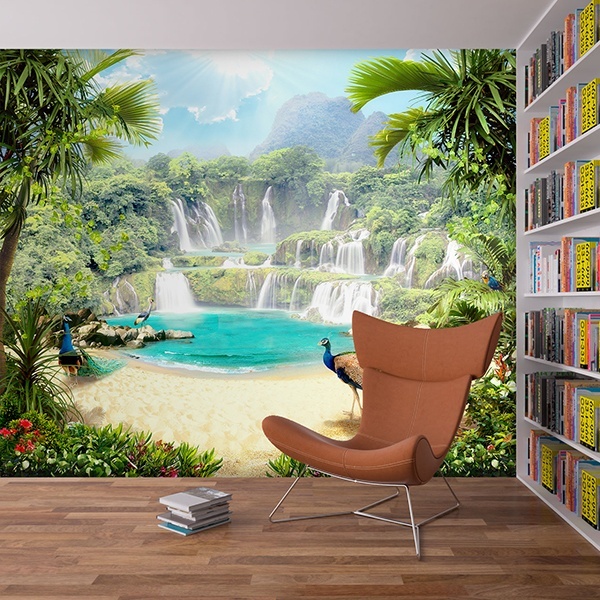 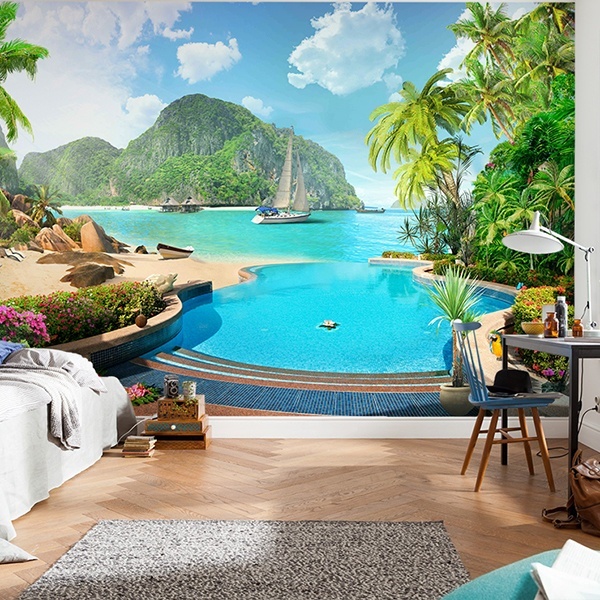 Wall mural of paradises. 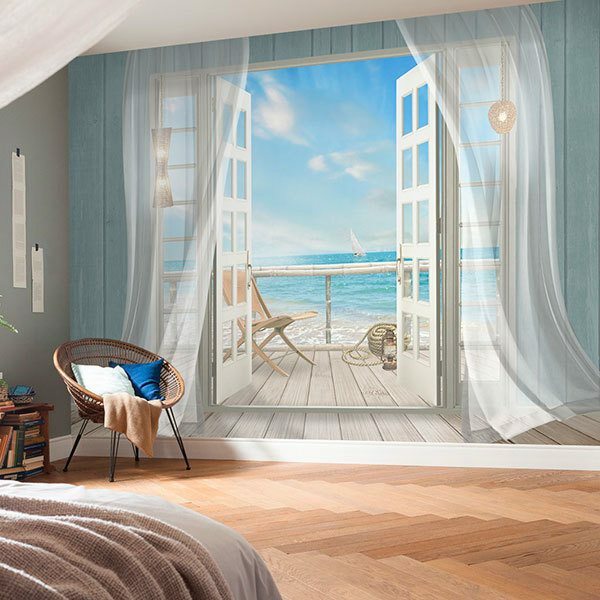 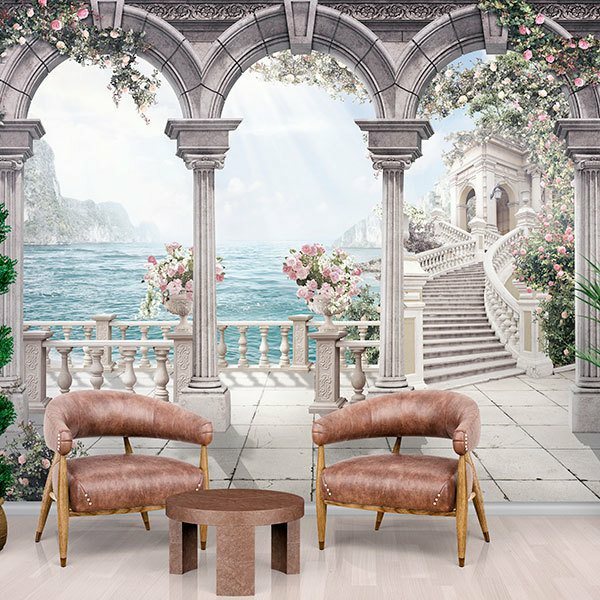 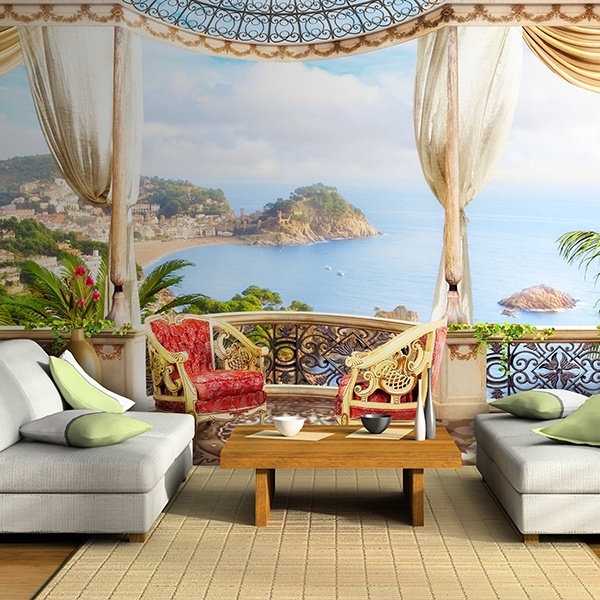 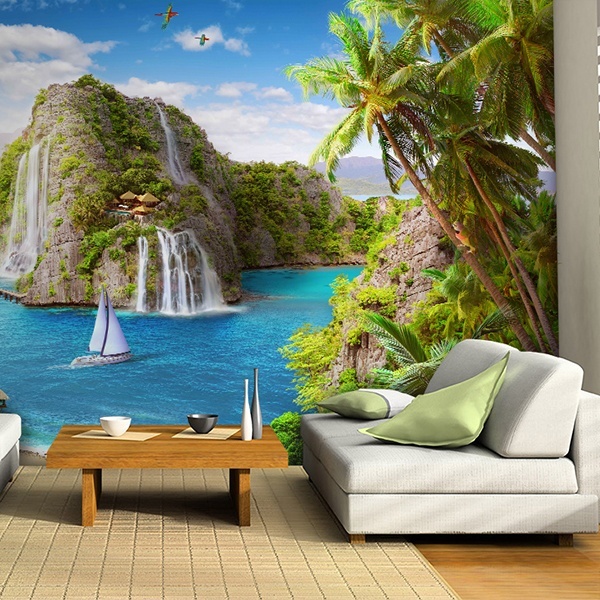 Discover our amazing collection of paradisiacal places and decorate your home like you never imagined. 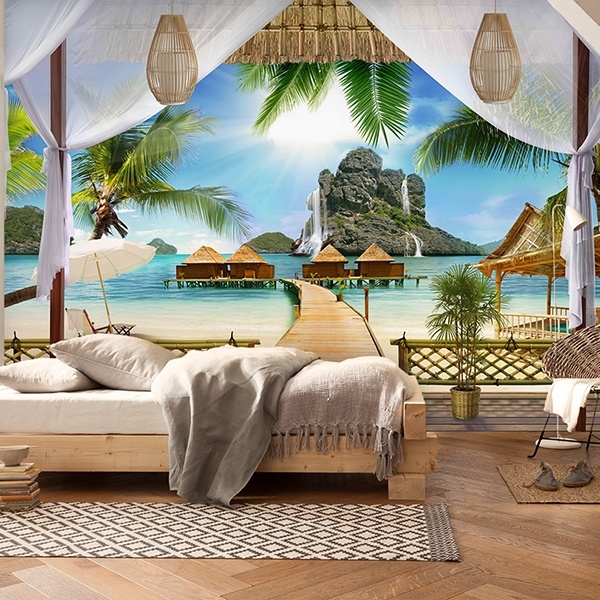 From balconies with incredible sea views or porches with beautiful arches on columns, to beaches with crystal clear water and white sand or film sunsets. 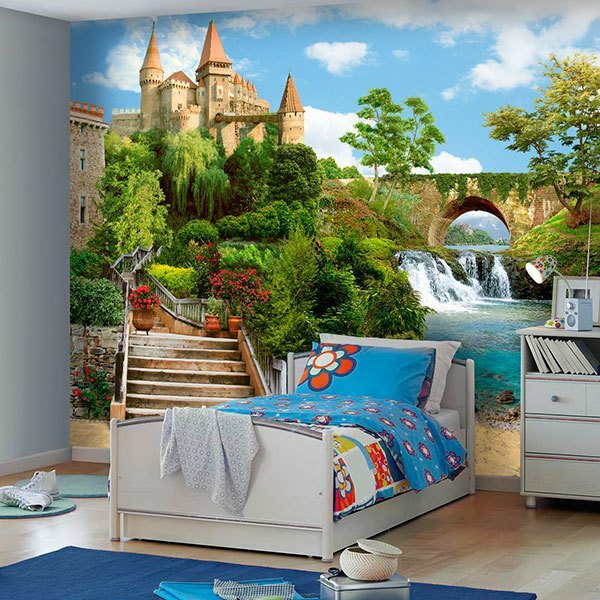 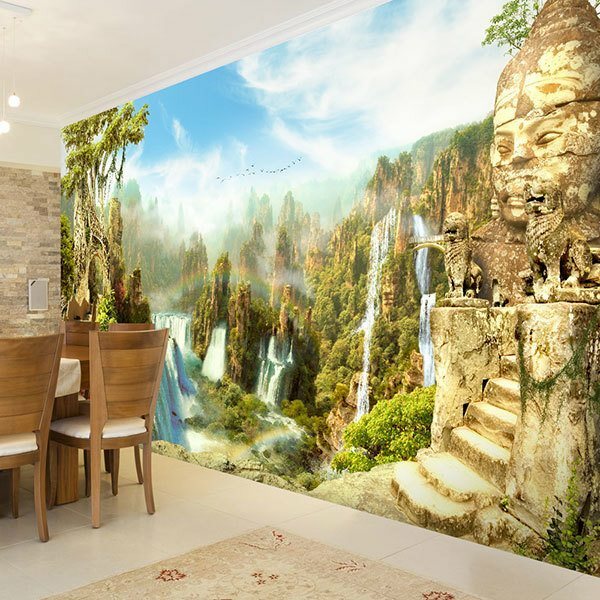 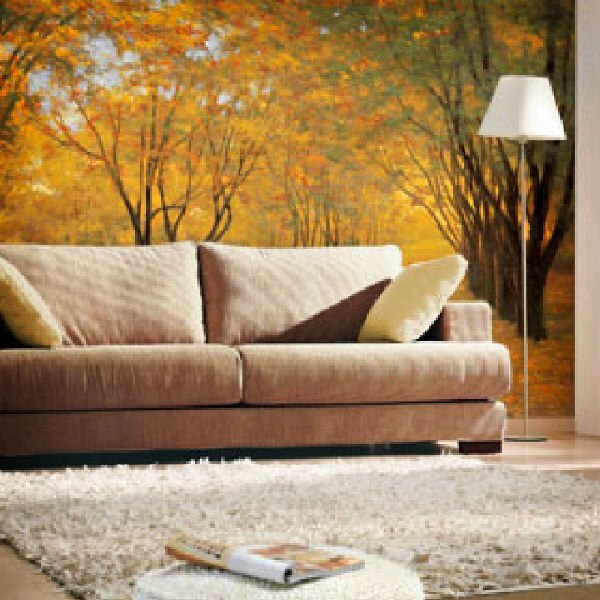 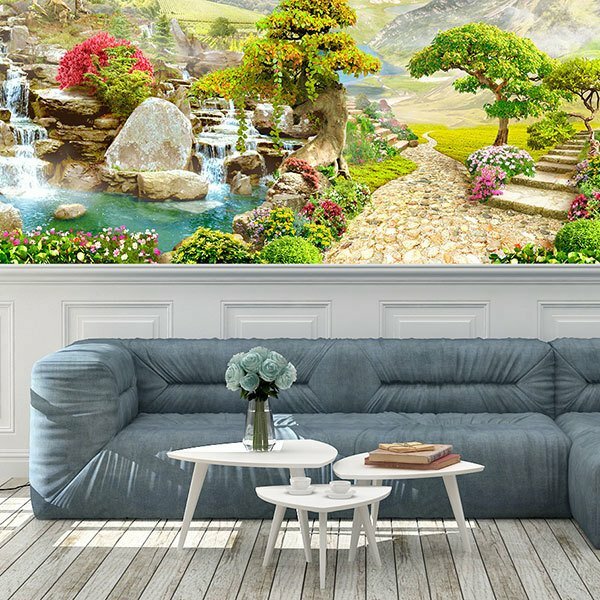 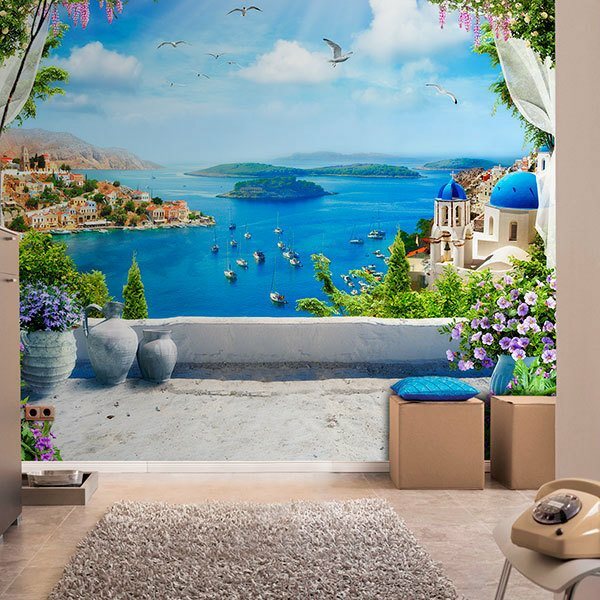 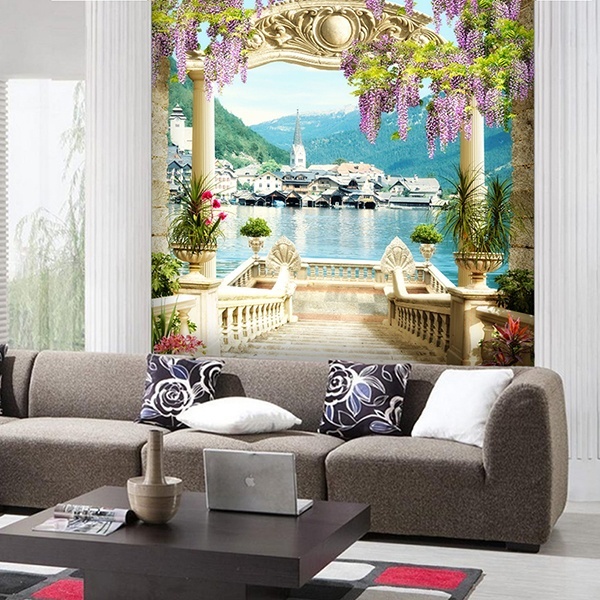 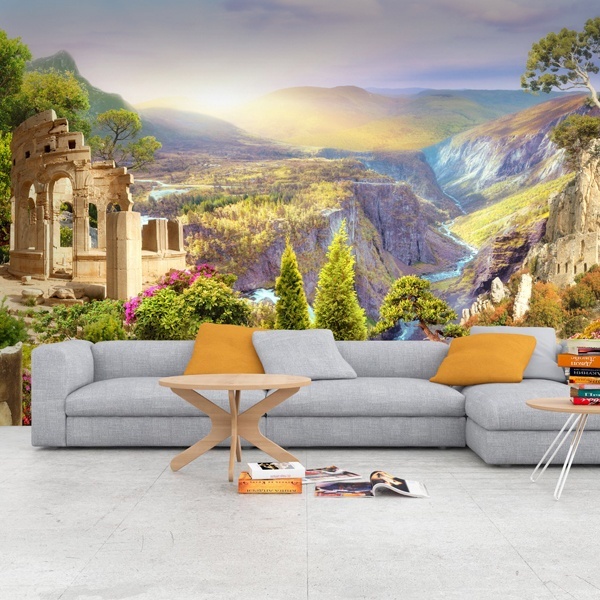 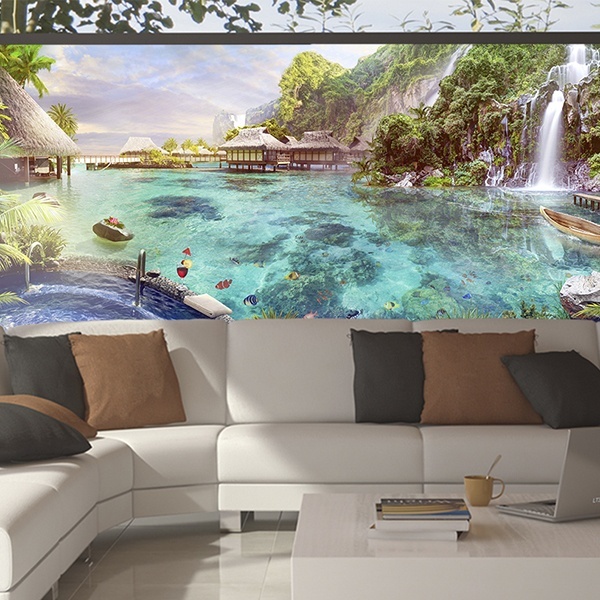 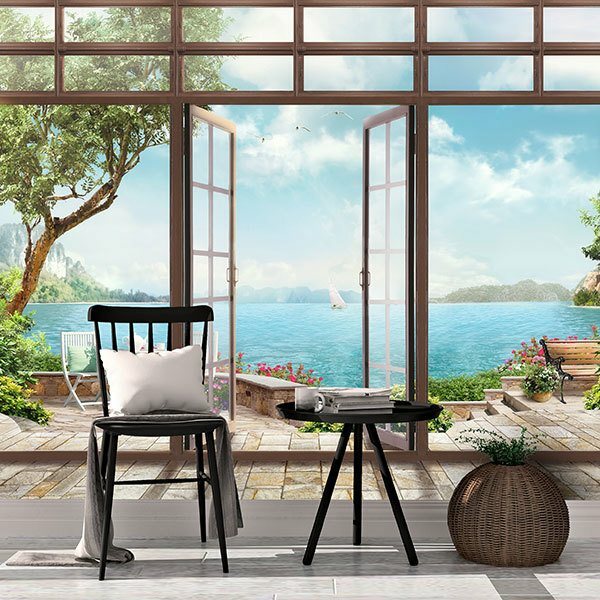 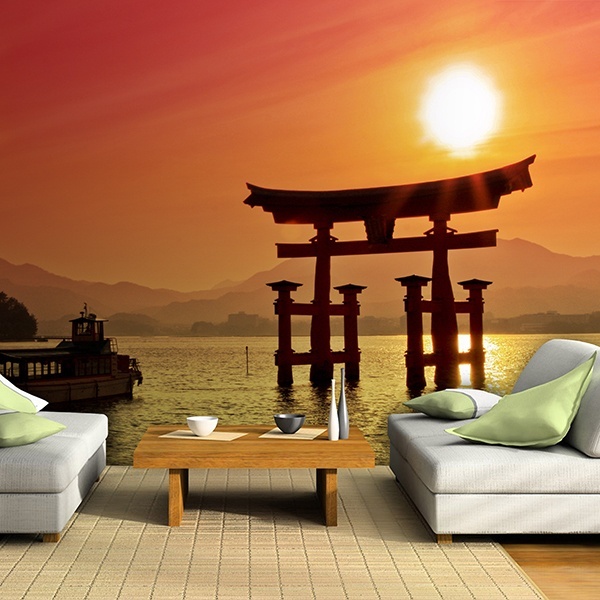 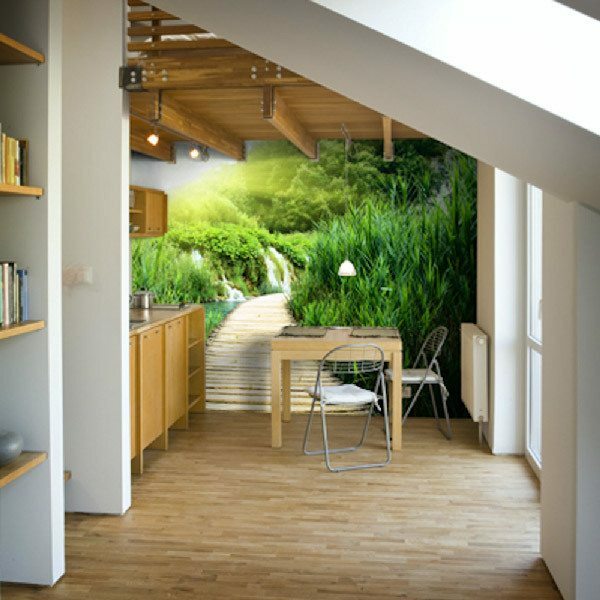 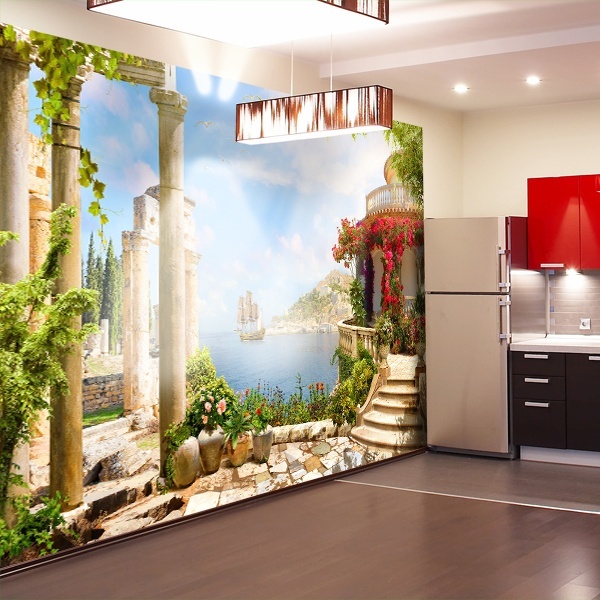 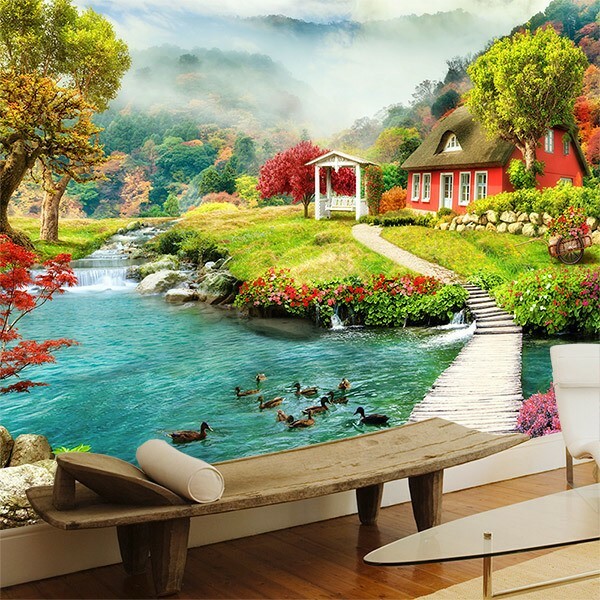 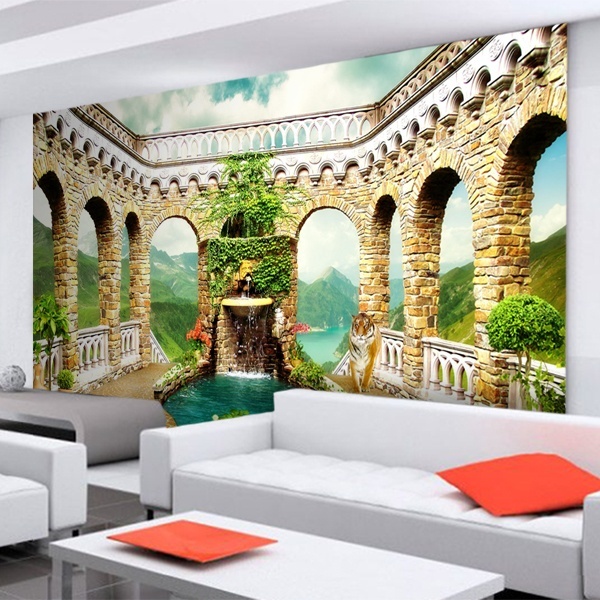 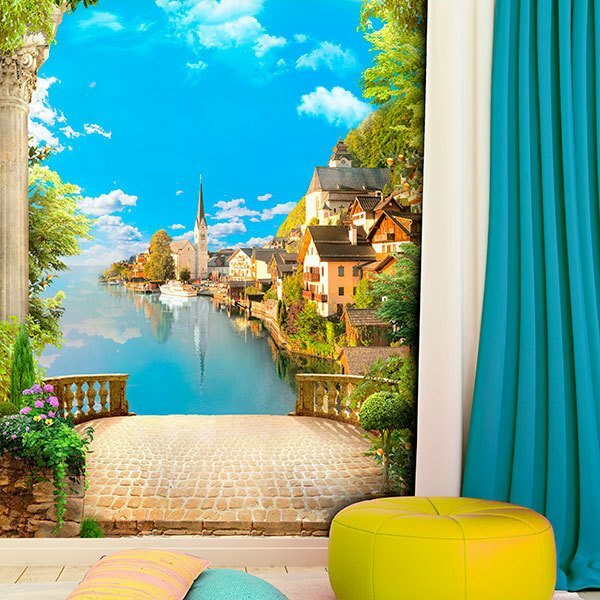 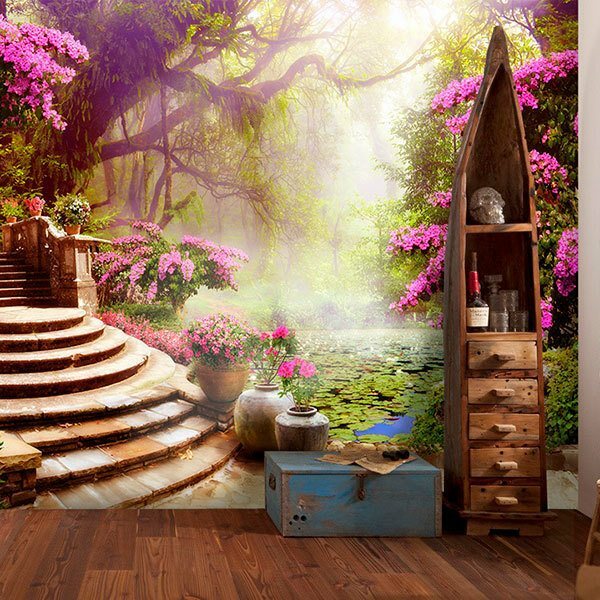 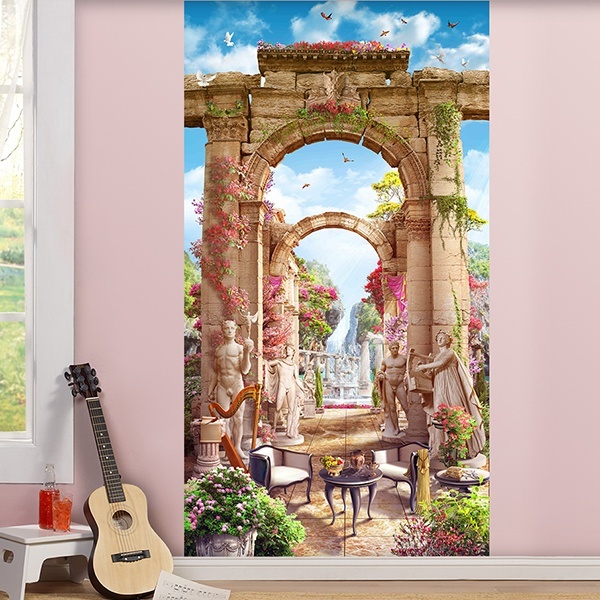 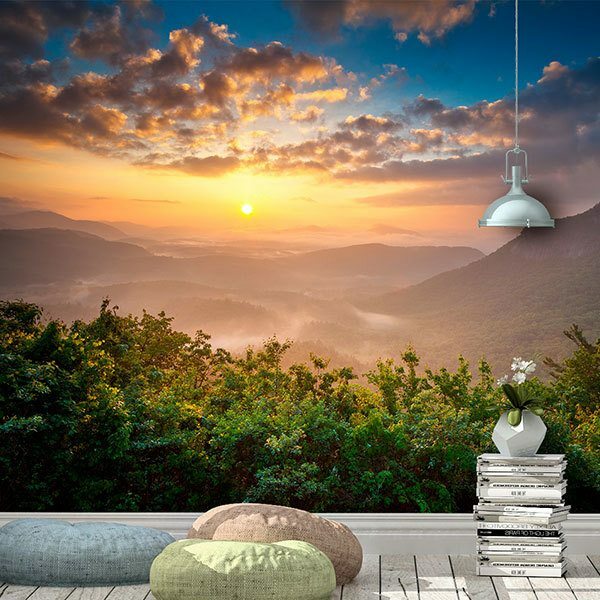 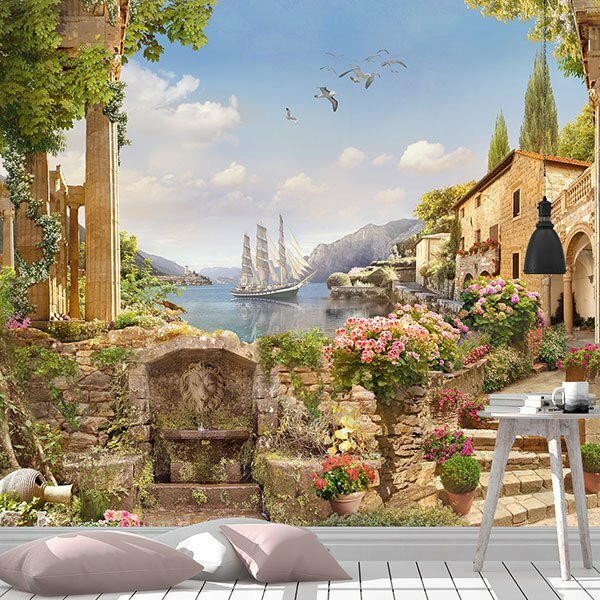 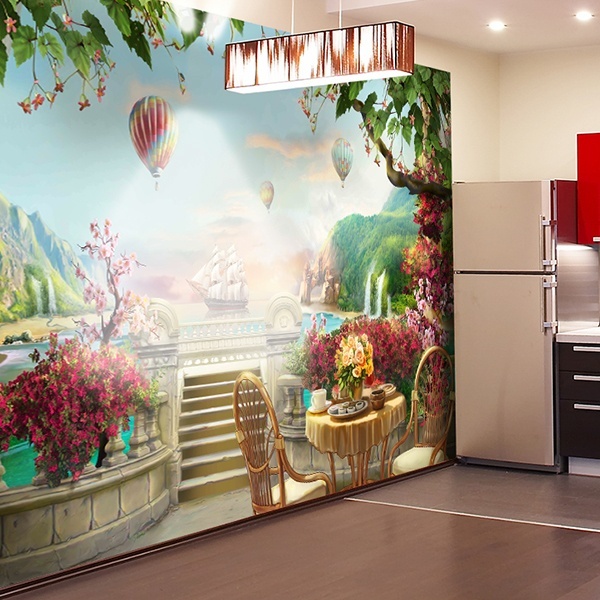 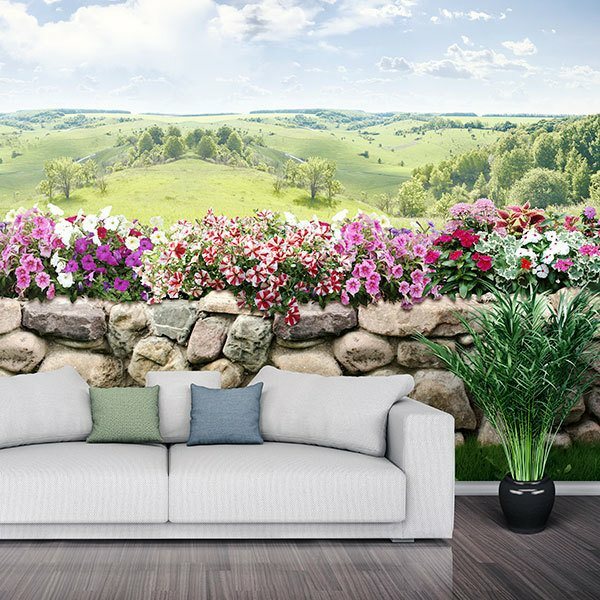 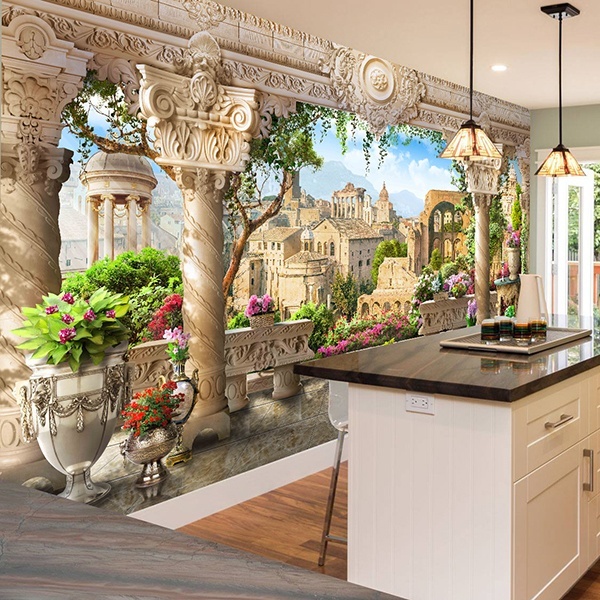 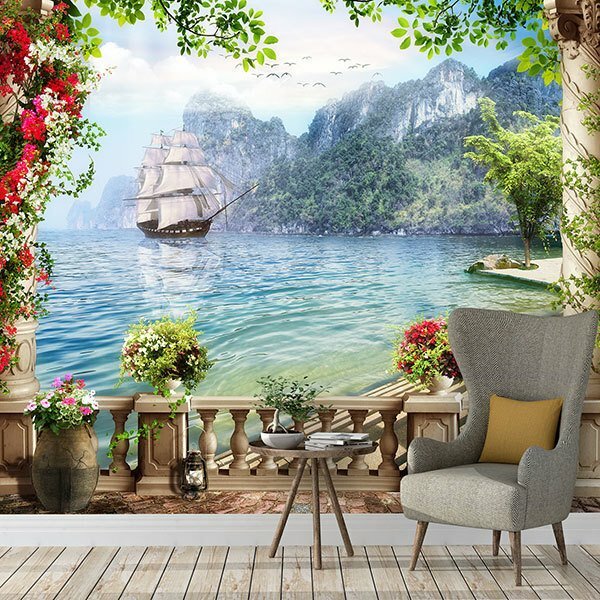 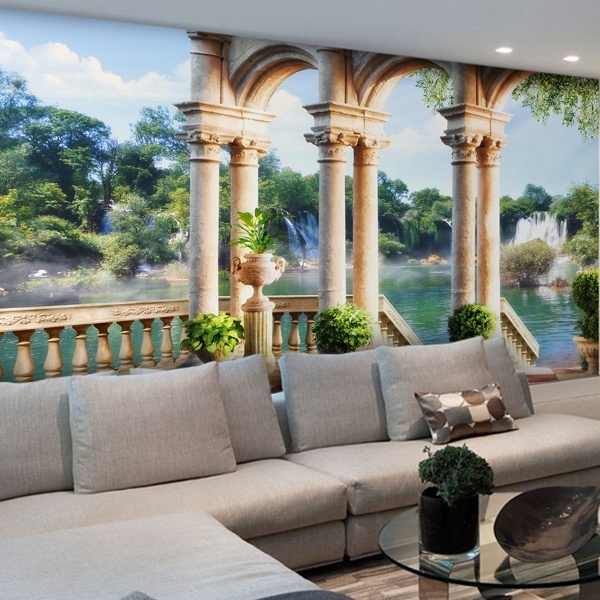 Turn your home into a magical and incredible place with images of dream gardens and amazing landscapes.